25 years in Bollywood as a mega-show organizer and Abu Malik, after the international film American Blend, now comes to mainstream Bollywood with his foot-tapping melodious fare in the film Bad Luck Govind, all set to his the marquee on January 9. Naturally, it was time for celebration. 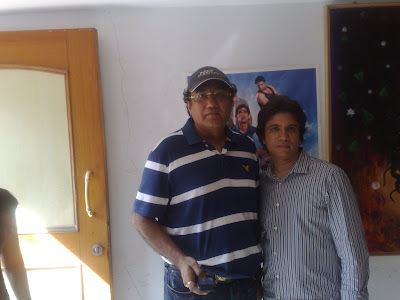 Abu Malik's studios as Andheri (W) it was. The entire team of the film including director Varun Khanna, producer Tarun Arora, actors Gaurav Kapur, Hrishitaa Bhatt, Vrajesh Hirjee, and a host of others joined Abu Malik and had enjoyed magical musical moments over a sumptuous biryani lunch. Said Abu Malik, "Sometimes you are so busy with what brings grist to the mill at the moment, that you don't find time for your other creative pursuits. Varun and Tarun beloved in my music and wanted me to compose and sing for Bad Luck Govind. And once I started recording, the creative music director in me kept getting more and more charged. Now, I am looking forward to covering up for all the 25 years that I missed composing and singing for Bollywood. 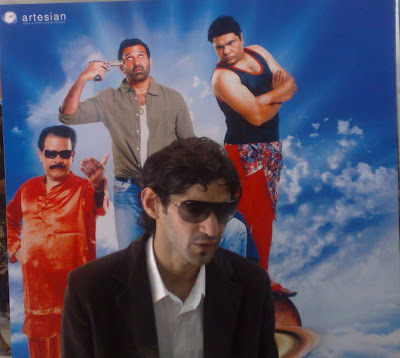 Bad Luck Govind is the beginning of a lot of good things t come from me as a composer-singer." Talking of the story, Bad Luck Govind is the story of an obsessive, compulsive, down-on-his-luck, young man Govind (VJ-actor Gaurav Kapur) , who has somewhat of a mind-blowing disconnect with the higher powers of the universe. His luck is such that even cows stop producing milk when he walks by a tabela. Even fresh milk instantly curdles when poured into a cup of tea. A hilarious national incident with news anchor Mamta (special appearance Archana Puran Singh) lands Govind in Mumbai from his native Delhi, where the stage is now set for Bad Luck Govind , when some madcap underworld "bhai" satta bookies (Govind Namdev, Parmeet Sethi, Vrajesh Hirjee, Lalit Mohan Tiwari and Ganesh Yadav) and a gorgeous nurse (Hrishitaa Bhatt), collide - as their collective kismat's and luck intertwine to explode as well implode in more ways than one can keep count. What follows, is madness, mayhem and hyper drama as Govind learns to romance life and rediscover faith in the power of positive. Produced by Mixed Blood Cinema, Artesian Media & Entertainment, Digiquest India Pvt Ltd and Varun Khanna Production Pvt. 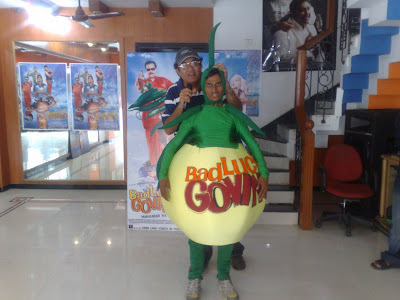 Ltd., Bad Luck Govind written and directed by Varun Khanna stars Gaurav Kapur, Hrishita Bhatt, Parmeet Sethi, Govind Namdeo, Vrajesh Hirjee, Zakir Hussain, Ganesh Yadav, Yogesh Joshi, Amit Mistry, Lalit Mohan Tiwari, Manoj Tiger, Archana Puran Singh among others. The music is by Abu Malik, lyrics by Madan Pal and the singers are Mika Singh, Kunal Ganjawala, Sunidhi Chauhan, Labh Jajua and Abu Malik himself.